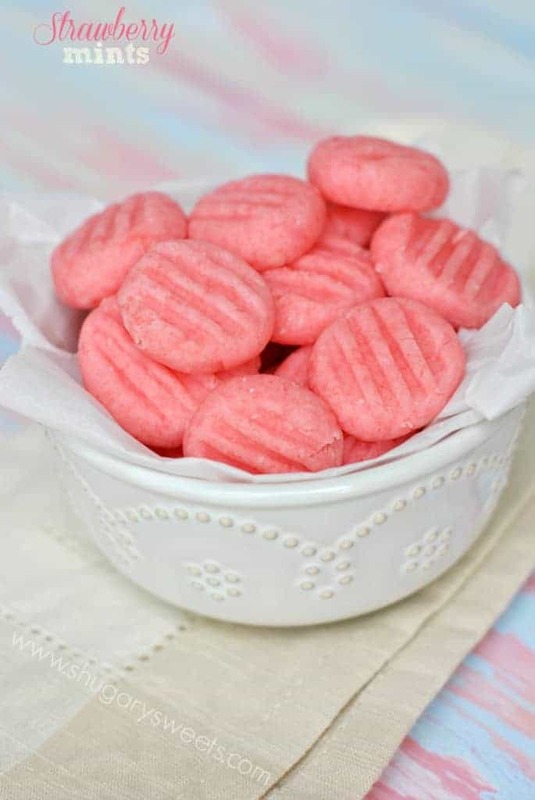 An easy, delicious mint candy with a hint of strawberry! Valentine’s Day is just around the corner! These mint candies are sure to get you in the holiday spirit! Thanks to a few tablespoons of JELL-O strawberry gelatin, I took our classic mint recipe to the next level. Strawberry and mint are a perfect marriage. Just like me and my hubby! Happy Valentine’s Day! Make up a couple jars for your kid’s teachers, your best friend, your hairstylist…you favorite BLOGGER (hint, hint)! I‘m sharing the recipe over at Food Fanatic today. 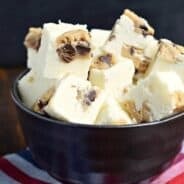 Be sure to stop over (and PRINT the recipe)! Ah so so cute! Yay for the season of pink food. It’s just so fun! Love all the valentine treats showing up! So fun and pretty! Thanks Kathy, I love pink treats! These are so cute, Aimee! 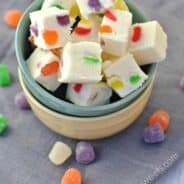 I have always had a soft spot for homemade mints like these. Pink just makes them even better! These mints are so cute and perfect for gifting. 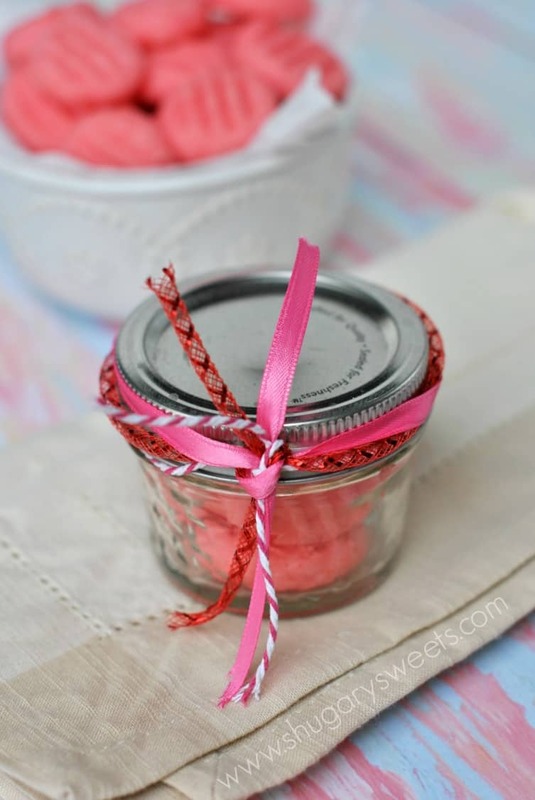 I love that little jar – so simple and sweet. I have an obsession with little bowls and little jars, LOL!!! I find it so amazing how jello can just make everything so much more interesting! 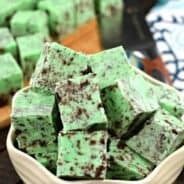 Love mints… and this recipe! Pinning! These are so pretty! And tasty, too, I’m sure! What a fabulous idea using jello! I am so intrigued by the mint/strawberry flavor, must try these! SO simple and pretty! Adore these. Strawberry mints? I so want these in my life! Those mint are so adorable! Those are so cute! I don’t think I’ve tried strawberry mint combo before but it sounds tasty!